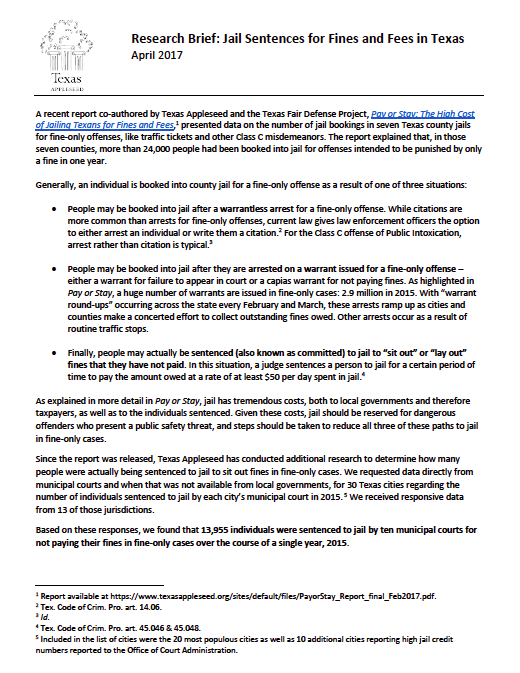 Joint report with Texas Fair Defense Project. 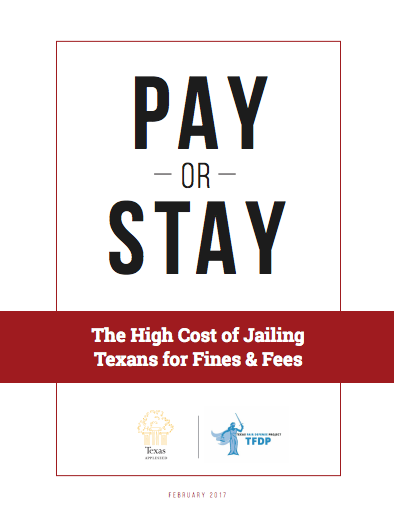 For low-income Texans, a ticket for a minor offense like speeding, jaywalking, or having a broken headlight can lead to devastating consequences for the individual, as well as that person’s family and community. If someone is unable to pay a ticket right away, the cost compounds over time, often resulting in more tickets, fines and fees. Failing to pay or to appear in court can lead to an arrest warrant and jail time. 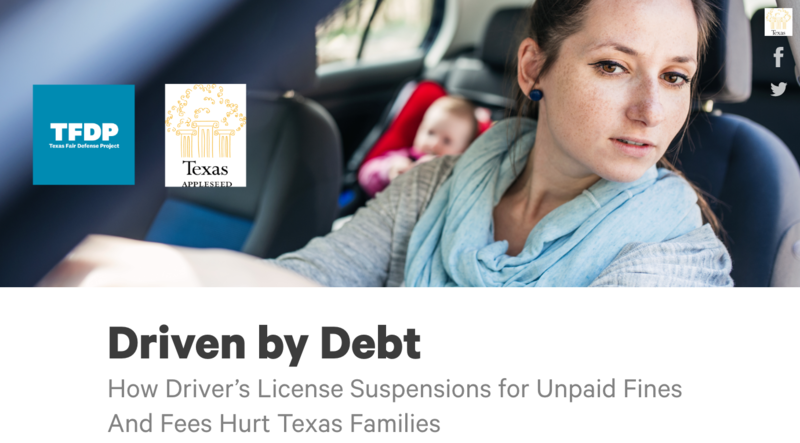 Low-income Texans are being set up to fail by the way fines and fees are handled, and they are often driven deeper into poverty. The United States Supreme Court has held that incarcerating somebody because of unpaid fines or fees without a hearing to determine if they are actually able to pay the fines and fees violates the Equal Protection and Due Process clauses of the 14th Amendment. Texas state statute also makes clear that a person cannot be jailed for unpaid fines when the nonpayment was due to indigence.